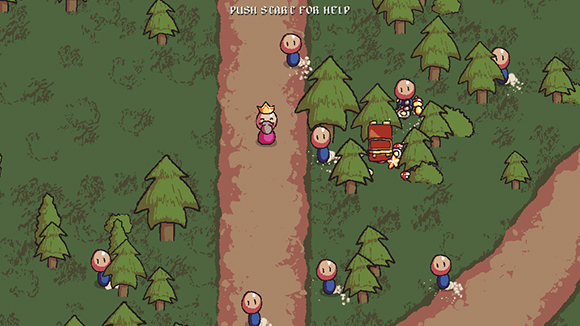 If you liked my Crusader King 2 review back in 2016 and you want to play it for peanuts with a good DLC (the old gods to boot, the best CK2 dlc) and want an extra 7 with it (6 if you pay just above the average) this bundle is for you. For a mere $1 you get Cities in Motion, Magicka 2, and the Majesty 2 Collection. Paying more than the average adds the marvelous Crusader Kings 2 with The Old Gods DLC to the package, Pillars of Eternity, Europa Universalis 3 Complete Edition, and the Hearts of Iron 3 Collection. Ok Europa Universalis & Hearts of Iron are at their 4th installment and the bundle only give the 3rd which make it a little disappointing since I really wanted the 4th edition of Hearts of Iron. But, hey, you pay like 1,50$ for each game so dont has for too much. Considering I’ve poured 50$ in DLC for Europa Universalis IV and Crusader king 2 each this bundle is a bargain. And if you pay 12$ you get the one most recent game of the list (2016) Stellaris with a staggering 8 major update. If you like strategy game in space that one is for you. It’s a really cool bundle even though some of the game are really old. Give it a try by checking the The Humble Paradox Bundle 2018 on the humble bundle site. I don’t even get commission so trust me on the one. I’ve referred so much humble bundle maybe I should check if they have affiliate link or something. 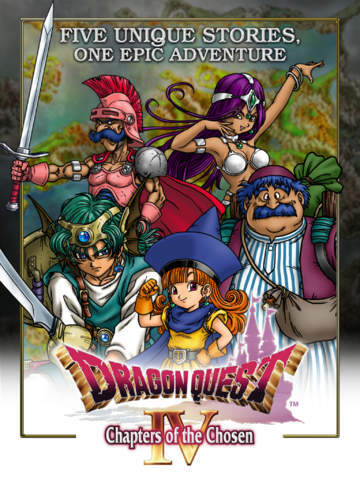 The fourth installment of dragon quest, Dragon quest IV: Chapter of the chosen, is very different from other dragon quest in the way the story is structured. You play different chapter to learn about the story of each of your characters until chapter 5, which is basically 80% of the game, where (spoiler alert) you reunite with all of them. Another welcoming addition the introduction of the wagon. 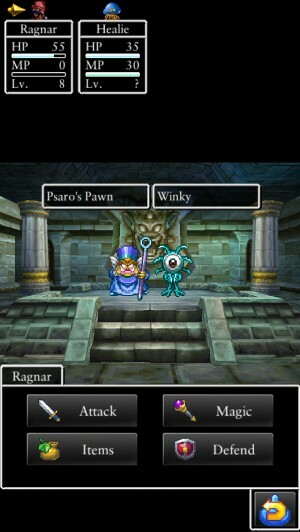 Everything else the game is pretty similar to the others except that you can’t change classes like in DQ III. If you don’t want to be spoiled, go buy it and play it immediately on itune, Google play, Nintendo DS or on the old school nes. If you don’t mind move along. The first chapter is the shortest Ragnar a fighter who need to investigate the missing children for the king and they go on to find the chosen one. The second Chapter is about a rebel princess named Alena that want to prove her strength. The third chapter is with Tonerko, a merchant that wants to build is own shop. The fourth chapter is with two sisters, Meena and Maya, that seeking revenge for the death of their father. The final chapter (in the original game) is with the chosen hero who will travel the world to find the characters from the previous chapters and legendary gear to defeat the evil Psaro. The recent remake of the game include a sixth chapter, where you discover more of the story of Psaro & Rose and who the bad guy really is. You can to be able to have Psaro join you to fight that new bad guy (I don’t want to spoil you to much). Note that Psaro is freakingly OP compare to the other characters, only the hero seems to be not so bad compare to him. Note: since it’s an old school RPG, expect a lot of random encounter, if you’re playing a recent version they are tuned down a bit but still annoying. 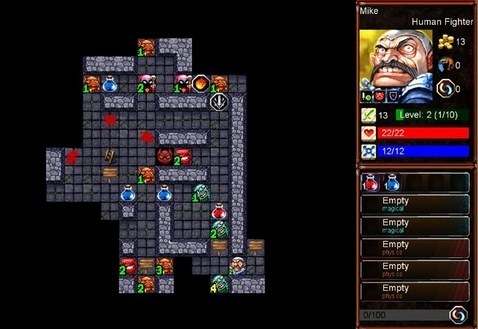 The Cave of Atman is a puzzle with a RPG twist on it. Each class attack differently and they level up by killing the aura of the defeated enemies. The game play is quite simple and the puzzle are really easy at the beginning, but it’s get harder has you progress. But fear not new class join your quest with new attack and range. Classes like the mage or archer can execute ranged attacks, while fighters are only able to strike at adversaries that are adjacent to them. Note that they all of them can only move and strike once per level. If you’ve made a mistake, you can click on the last action and it will reset it, in some case you need to use the retry button and reset the room for another try. Crystal Story II is the sequel of Crystal Story and you can play both on Kongregates. While you might think that the mechanic are somewhat déjà vu, it will definitely bring you back the memory of you good NES and SNES RPG. It was design and code by Emmanuel Salva Cruz and he had a team of artists and musicians for the graphic and music. 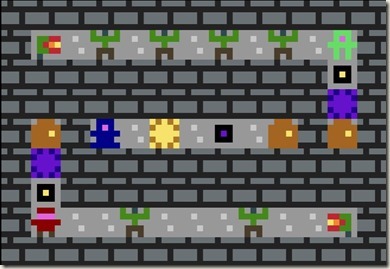 In The Wizard, the player takes on the role of a wizard who is on a quest to retrieve his face from the thief that just stole it. Unlike the The Cave of Atman the RPG element is more omnipresent. Fear not each level are carefully design to make you think and everything is turn base. Each make the puzzle different because you need to think differently depending on which thief you’re playing. If you ever played Ghosts’n Goblins and liked it you will definitely love this game, it a 2d plate former. It’s not out yet, but latest review said out in the beginning of 2014. While the name is not really SEO friendly this game definitely deserve some love. I would define it has a side-scrolling strategy-defense game where you use your coin to build your defense, enlist peasants, give them weapons and tools. I’ve noticed that the peasants are quite fearless, even sometime stupid, they face the army of troll without retreating even though there a barricade right behind them. We recently made a review of Heroes of Steel, a good indie RPG game on Android, touch arcade made a review on it and seem that they didn’t liked it at all. You can check it here : Touch Arcade : Heroes Of Steel Review. I patiently waiting for your cash to go up with sometime a bit of intervention is your thing we got another one for you, Megami Quest. Players start out with just one member in the party, but new members can be randomly recruited via summon if you have enough gold to hire them. Experience points are awarded automatically and can be incremented at a faster rate through the exploration of enemy-controlled locations. Every time you’re done searching an area, at least one new location will be revealed for the party to explore. 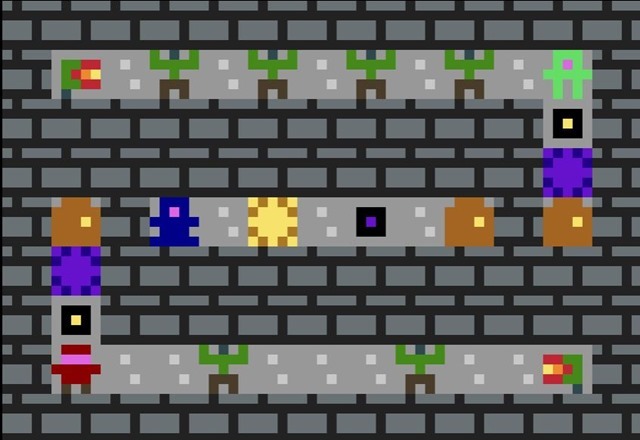 All the King’s Men is a short game made by Kyle Pulver (Offspring Fling) during a local game jam in Phoenix. It’s only available on windows but give it a try it’s pretty fun.